In the years between 2001 and 2009, I went through tragedies and pain. So In September 2009, we made a decision to stop the ministry in downtown Oslo that we were trying to develop into a church. On November 5th, 2009, when everything seemed without hope and future, God spoke to me through a tulip. It was a message of His GRACE! 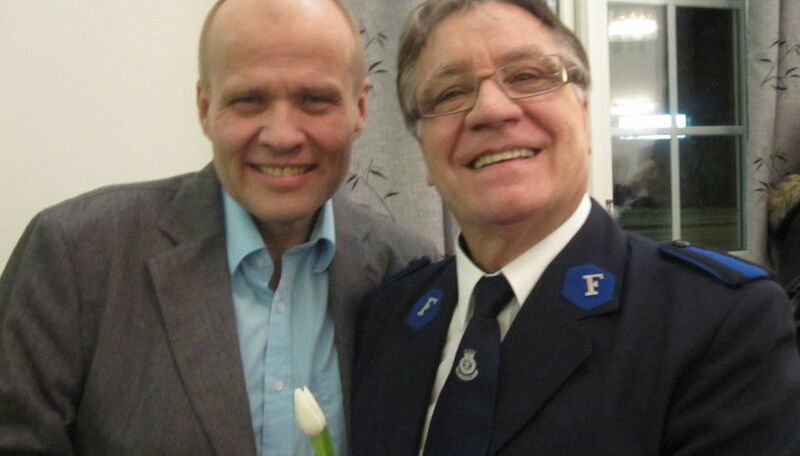 Jan-Aage holding the white tulip together with Roger Larsson right after the meeting. Even though we had terminated the ministry, I still carried a calling in my heart to establish an apostolic center in downtown Oslo that would serve 100 nationalities. So I was working with an excellent charismatic-evangelical webdeveloper in Norway to develop a future webpage. The first agenda was to create a logo. The web developer was Mr. Anders Torvill Bjorvand, who presented to me a logo suggestion with a cross and a tulip with seven petals. At first, I didn´t like it. But I decided to lay it aside, and that evening I went to a Salvation Army congregation in Sandvika outside Oslo where the Salvationist prophet Roger Larsson would be speaking. The prophetic nature of Roger Larsson´s word and tulip-gift, and of the logo which I did not like, suddenly dawned on me. God was speaking to me in various ways: The church that I was called to establish would be based on His GRACE! To get that message across to me, God used the Salvationist prophet and the evangelical web developer! 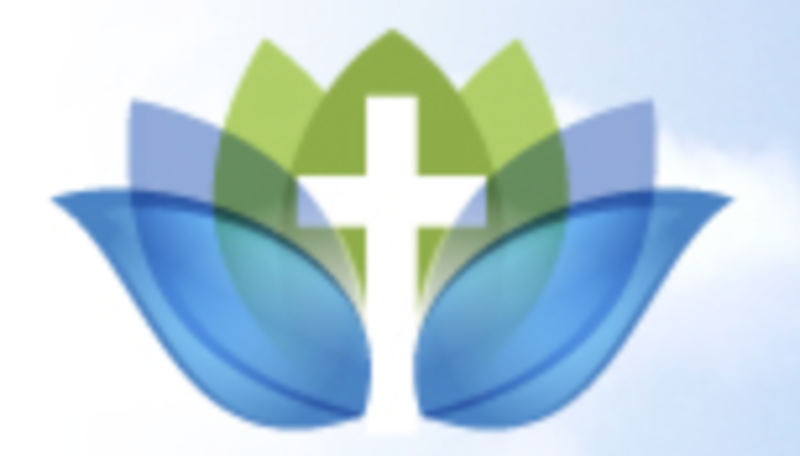 So that is why Restoration Oslochurch has a logo that consists of the Cross and the tulip with seven petals: The meaning of the Cross seems obvious. But now I could even appreciate the tulip. And why the seven petals of the tulip? Because this apostolic center is called to minister in the seven spheres of society. That is how a logo became prophecy! All content is copyrighted. ©Trossamfunnet Restoration Oslokirken 2019. Read here: Right to Quote. Read here: ACAP-protected. Trossamfunnet Restoration Oslokirken has no responsibility for content on external webpages which are linked from our webpages.